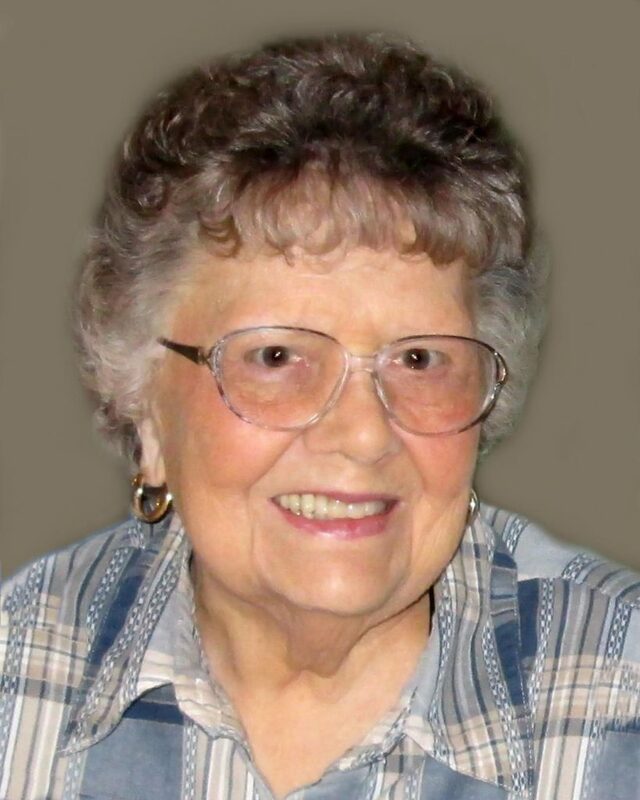 Audrey Jeanette Zins, age 90, of St. Cloud, passed away peacefully at her home on November 30, 2018. Mass of Christian Burial celebrating the life of Audrey will be 11:00AM Tuesday, December 4th, at The Church of the Holy Spirit in St. Cloud, MN. A visitation will be held Monday, December 3rd, at the Miller Carlin Funeral Home in St. Cloud from 4-7PM and again Tuesday, December 4th at 10:00AM until the time of service at the church. Burial will be in the Minnesota State Veterans Cemetery in Little Falls. Audrey grew up in St. Cloud where she married Donald ‘Ed’ Zins on January 23, 1948. They raised their 6 children in Edina and enjoyed summers at their family cabin on Briggs Lake. In 1980, Audrey and Ed retired and returned to their hometown of St. Cloud. Audrey’s number one love in life was her family. She enjoyed spending time with her children, grandchildren and great–grandchildren. Her favorite pastimes included creative artwork, decorating her home with her antiques and collectables, reading, bible study and playing “Words With Friends”. Audrey was known for her never ending kindness and thoughtfulness. She expressed this in many ways including never missing an opportunity to send a greeting card to family and friends. Audrey’s clever sense of humor and her witty bits of advice will live on forever. Audrey is survived by her loving husband of 70 years, Ed Zins and their children, Larry (Betty) Zins of St. Joseph, Bob (Shelley) Zins of St. Cloud, Mary (Tom) Klis of St. Cloud, Jane (Gregg) Lukoskie of St. Cloud, Jim (Lori) Zins of St. Cloud, Polly (Jack) Gregor of Monticello; 12 grandchildren and 14 great-grandchildren. She is also survived by her sister Dolly Swenson and brother Jim (Linda) Wicklund. She was preceded in death by her parents, Carl Albert and Jennie Rose Wicklund, siblings Evelyn Watkins, Bernice Salmela, Arnie Wicklund and Cleo Anderson. The family would like to thank the CentraCare Hospice staff for the loving care they have shown to Audrey and her family in recent weeks. In lieu of flowers, memorials are preferred to the CentraCare Hospice Program. A visitation will be held Monday, December 3rd, at the Miller Carlin Funeral Home in St. Cloud from 4-7PM and again Tuesday, December 4th at 10:00AM until the time of service at the church. Mass of Christian Burial celebrating the life of Audrey will be 11:00AM Tuesday, December 4th, at The Church of the Holy Spirit in St. Cloud, MN.